Manoro fought in a local conflict. Everyone thought he was dead. But one day he reappeared in the village, very weak. I recognized him: my father..
Young girls from different villages speak of their desire for freedom, to go out and meet men. A brief live performance, an intimate encounter. Intense emotion and thrilling virtuosity. From three of Madagascar's greatest artists. Two albums have been released on Anio Records. Toy Raha Toy (2017) “Sublime." Angel Romero, World Music Central.org. Diavola (2018) “Outstanding new album.” Tony Hillier, Rhythms Magazine. 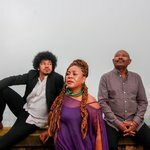 Madagascar’s most well known artist, D’Gary splashed onto the world music scene in the early 90s in a famous collaboration with musician/producers David Lindley and Henry Kaiser. Their album, A World Out Of Time, featured D’Gary’s extraordinary, open-tuning playing style developed from traditional instrumental techniques. “I couldn’t believe my eyes or ears,” recounted Kaiser later. A string of international recording projects and concerts followed including tours with the International Guitar Night ensemble, Miguel de la Bastide, Clive Carroll and banjo legend Bela Fleck. 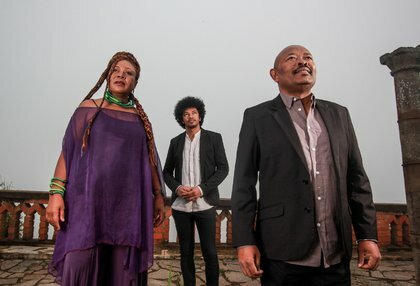 Celebrated as the “voice of Madagascar” Monika Njava sang lead with the renowned group Njava, recording two critically acclaimed albums for EMI. She has recorded with platinum-selling Deep Forest and continues to perform with the band. 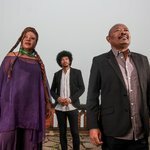 Always exploring new musical territory, she formed the group Island Jazz with bass virtuoso Linley Marthe, fusing traditional Malagasy music and contemporary jazz. Singing in several Malagasy dialects, Monika draws on folktales and everyday village life for her lyrics. She also addresses challenges facing her country: corruption, environmental devastation, and empowering women. Joël Rabesolo grew up playing the traditional four-stringed kabosy. 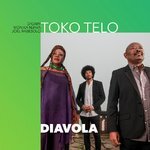 Now the most celebrated guitarist of his generation in Madagascar, he interprets the island’s rich array of regional styles with sophistication and extraordinary inventiveness. Admitted into the Brussels Royal Conservatory, he was promptly invited by his guitar professor to form a jazz duo. Working closely with Monika Njava since 2012, Joël is a member of her band Island Jazz. He also records and tours as part of Malagasy Guitar Masters.